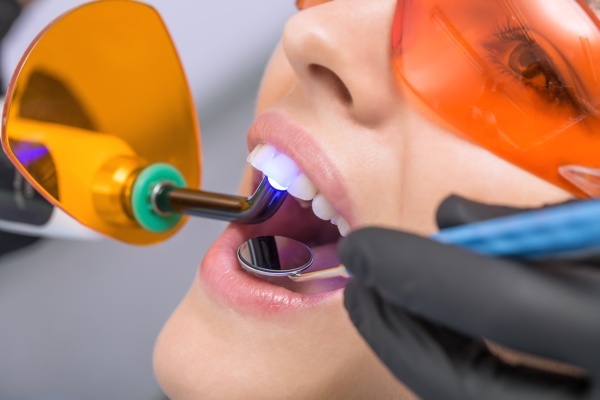 When it comes to whitening dull teeth, most people assume teeth whitening at the dentist's office or whitening the teeth with an over-the-counter product at the store are the only options. There is plenty of confusion as to the most effective approach to whiten dull teeth. In reality, there are multiple options and preferences for people to choose from. Below, we delve into five unique ways to lighten the color of dull teeth. Ask dentists about using baking soda to whiten dull teeth and you will likely receive mixed responses, some in favor of this approach and others against it. Some argue baking soda is too abrasive for everyday use in the mouth. However, scientists are adamant this soft product is acceptable for teeth whitening. Ask people in the know about baking soda and you will find it has low abrasiveness. Apply baking soda in a gentle manner to your front teeth, allow it to convert from powder to the solution as it mixes with your saliva and it will gradually reduce staining. Focus on the front teeth to maximize the whitening effect. Oil pulling decreases gingivitis and tooth decay while some other whitening strategies actually pose the threat of damaging tooth enamel. The only potential negative to oil pulling is the time investment. It takes around 20 minutes of swishing the oil in your mouth to produce results. Oil pulling replicates the activity in your vehicle's engine. The oil used in your vehicle exits while the clean oil remains for continued functionality. Oil pulling replicates this process to mitigate gum disease and tooth decay. While it might seem a bit odd that consuming fruit whitens dull teeth, it really works. Apples are especially helpful in cleaning teeth. Hollywood celebrities are adamant mashing up strawberries and spreading them along the teeth whitens their hue. Some chew on orange peels or lemon peels. People who follow health trends are well aware of the fact that apple cider vinegar seems to work for just about every other body ailment. If you are looking to whiten dull teeth, apply apple cider vinegar on a daily basis. Use this teeth whitening method for a full month and you will gradually notice results. Apple cider vinegar is surprisingly effective at eliminating stains from nicotine, red wine, coffee, tea, etc. Clay is minimally abrasive, incredibly soft and capable of polishing better than most materials. White kaolin clay is optimal for removing stains. The clay mixes with saliva and gets right to work beautifying the teeth. Some patients have even found success mixing baking soda and clay powder for a thorough mouth clean. Request a teeth whitening appointment in our Los Angeles dentist office here: http://www.beverlyhillsfamilydentalgroup.com.